The Serena is part of our new Essentials line. Made by hand in Italy with the same quality as our signature assortment, the Essentials are classic luxury shoes that allow for a more streamlined production process. The Essentials are simpler to manufacture and are offered at a lower pricing tier than the rest of the collection. We found the supplier for B&B Essentials on our travels outside of Florence in the Tuscan Region, the heart of Italian luxury goods. 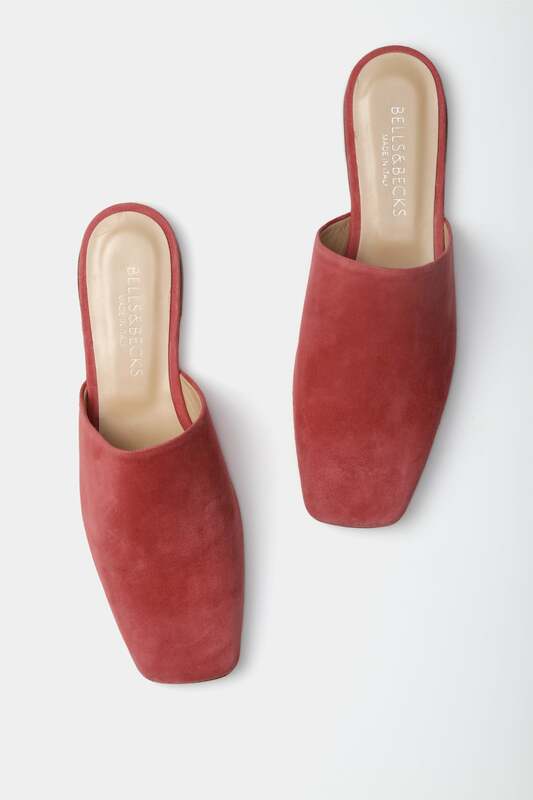 The company has a long and storied tradition of producing quality Italian product that is both “elegant and feminine” with a focus on styles that are chic and comfortable. Their capabilities around creating streamlined styling was the perfect match as we thought about building a collection of product that addresses the everyday, essential needs of our customer. Bells & Becks Essentials are made by hand in Italy with the same attention to quality as our Signature assortment. The Essentials are classic luxury shoes that are more basic in design and allow for a more streamlined production process. The Essentials are simpler to manufacture and are offered at a lower pricing tier than the rest of the collection. The Serena fits true to your US shoe size. If you are a size 8 US, you should order size 38. 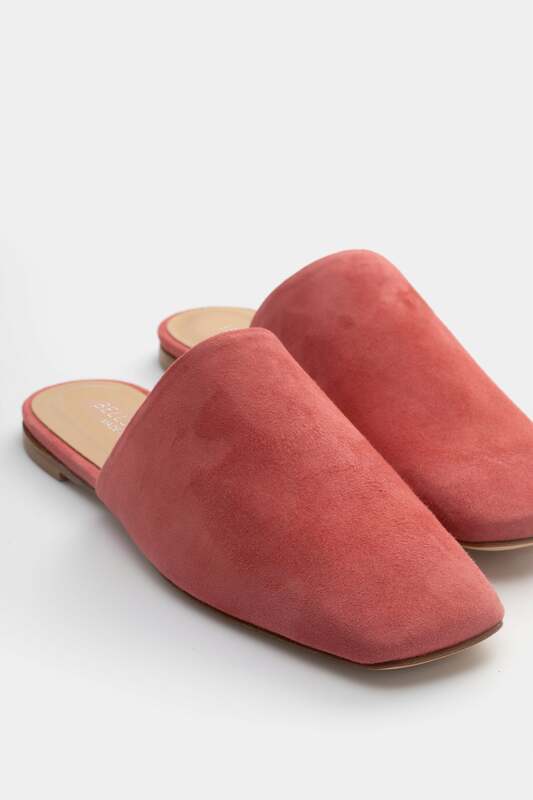 With a name that means clear, tranquil, and serene, our Serena mule in a fresh square-toe shape is so versatile and the ultimate in simplicity. 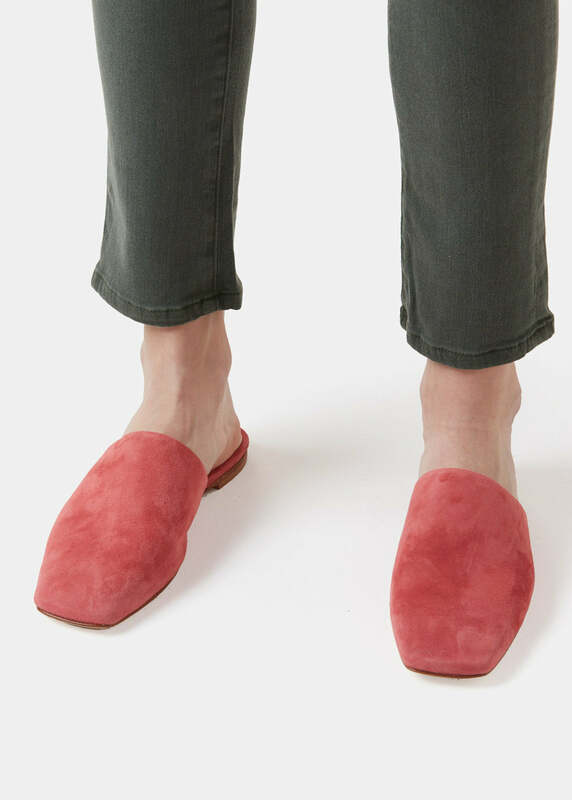 Part of the B&B Essentials line, this easy slip-on combines a clean, modern silhouette with a bright, happy shade of super-soft suede of Living Coral, the Pantone color of the year.